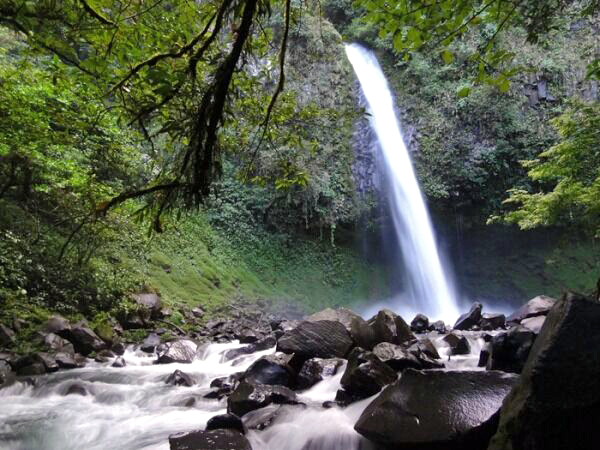 A short drive from town, La Fortuna Waterfall offers an idyllic place for swimming, picnicking, and relaxing. Fed by the Arenal River, which winds its way through the rainforest before plunging dramatically over a steep cliff, this waterfall forms a large pool at the base of a dormant volcano. Lifeguards remain on duty throughout the day, while modern facilities like restrooms and showers ensure a comfortable visit in a lush area noted for thick vegetation and abundant wildlife. Prepare for a short but arduous hike to the base of the waterfall by wearing shoes suitable for slippery and uneven terrain. 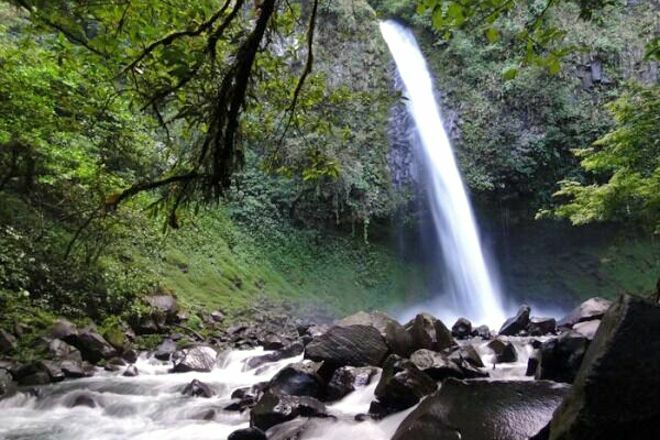 Use our La Fortuna de San Carlos attractions planner to add La Fortuna Waterfall and other attractions to your La Fortuna de San Carlos vacation plans. 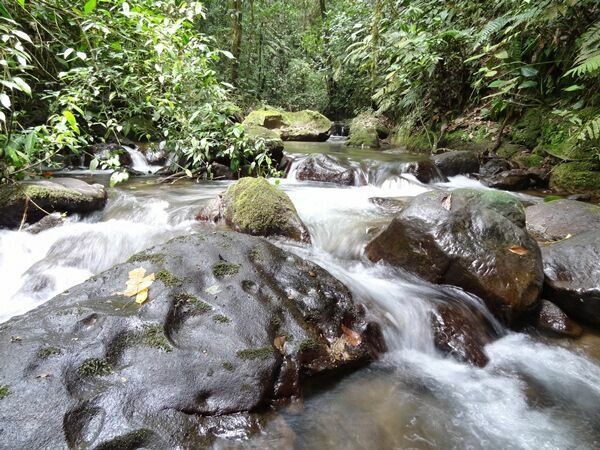 Although in the waterfall in if there are enough people, we are going to do only the scenery that you see during the walk to get is worth it. You Don't need to take any tour if you take ton ton in the car it is very easy to get. 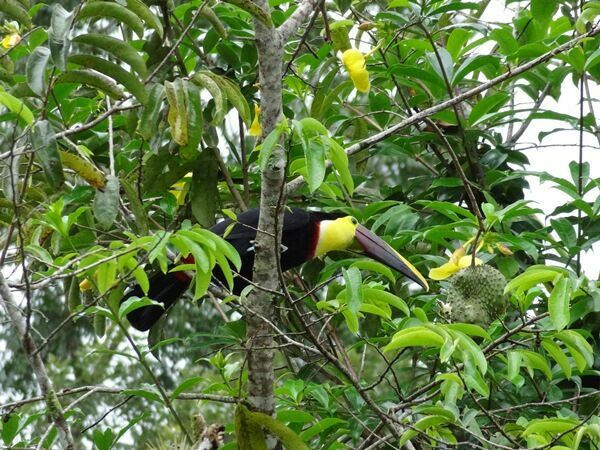 If you want to know more about our trip to Costa Rica and many other plans with children I tell you everything on my blog Planetaplanazo. Since we had a Tyre Breakdown and were only able to leave late in the Day, we decided to Visit the Waterfall. We both have Problems with our Knees, but still, partly backwards, we made it down. Great Sight! For the Price, however, at least small Squay Mice could be below ... The "Ascent" was very exhausting. But on each Floor there is the Possibility to rest and sometimes also drink Water. So It's doable to take your Time. Above are by The way showers and TOILET, In addition a Eatery that I can only recommend. Here we ate the best Carbonara in our whole Holiday. Magical & refreshing! Beautiful waterfall with a lovely view on top & trail to reach down. The natural pool on the left is very refreshing but lovely on a warm day. Must see!